Keratinocytes are living cells present in your skin, which produce a protective layer to provide flexibility and strength to the skin, to prevent excessive outflow of water and to keep external materials out of the body. The protein strand that makes this layer is tough and shaped like a triple-helix and is referred to as keratin. It is the primary ingredient present in hair, nails, skin and enamel of tooth. 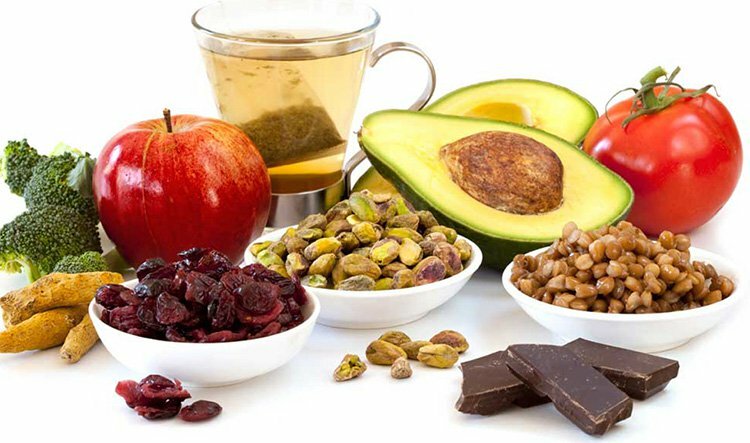 Keratin is not naturally found in foods, but eating foods rich in certain vitamins and protein can increase the production of keratin and support the growth of skin, hair and nails. 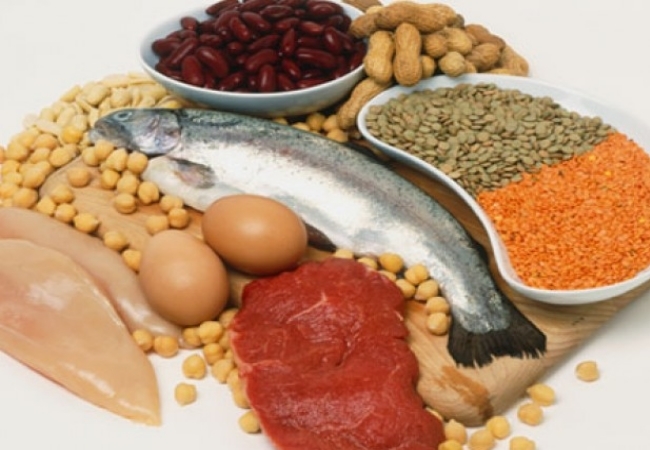 Eating foods rich in protein provides your body the amino acids it requires to produce keratin. Some such protein-rich foods are fish, red meat, pork, chicken, milk, eggs, and yogurt. Plant based foods which are rich in protein are nuts, beans, quinoa and nut-butters. Majority of the adults require 2-3 servings of foods rich in protein per day to meet their daily needs of protein. Biotin is required for the metabolism of amino acids which produce keratin. It is usually recommended for the strengthening of nails and hair. Foods rich in biotin are beans, nuts, cauliflower, mushrooms and whole grains. It is also present in cooked yolks of eggs. However, raw egg whites contain a protein, which interferes with the absorption of biotin. Since biotin is soluble in water, it can’t be stored in your body. Moreover, it can be lost from the foods while cooking, where cooking involves direct contact of food with water, such as boiling. Synthesis of keratin requires vitamin A. What are some of the keratin rich foods? 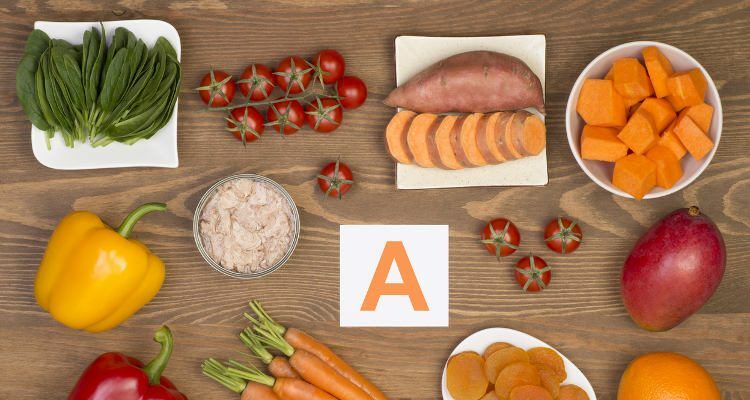 Vitamin A is present in foods such as orange vegetables and fruits such as sweet potatoes, pumpkin, raw carrots, cantaloupe and butternut squash. Cooked greens such as kale, collards and spinach are also rich sources of vitamin A. This vitamin is fat-soluble; hence, its absorption only takes place when it is eaten with some fatty food. This also implies that excessive vitamin A gets stored in your body. 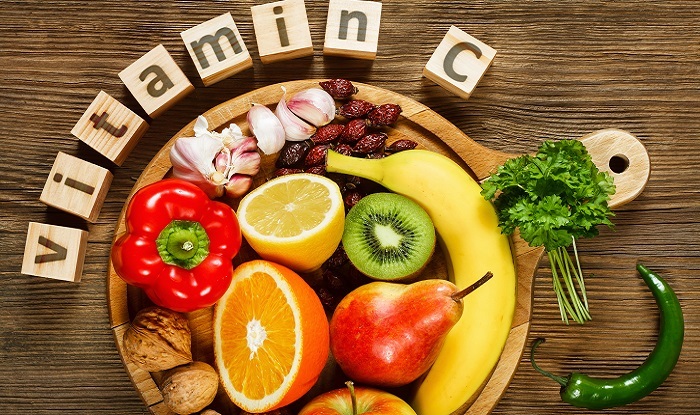 You should consume foods that contain lots of vitamin C. The absorption of plant based protein is enhanced by vitamin C; hence, eat vitamin C containing foods when you are eating plant based protein. Vitamin C rich foods are Brussels sprouts, broccoli, peppers, kale, papaya, grapefruit, guava, pineapple, oranges, lemons and strawberries. Vitamin C is an antioxidant and boosts the growth of hair and health of hair, skin and nails. 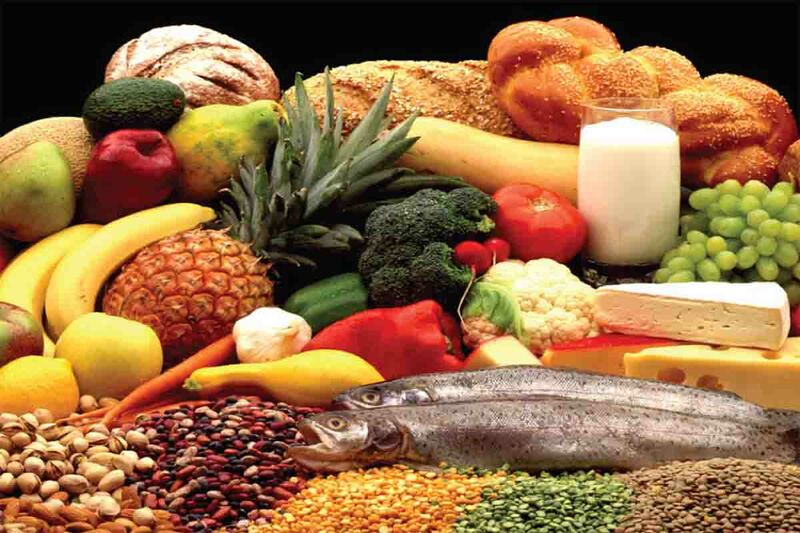 Increase your consumption of B vitamins. They enhance production of red blood cells that carry oxygen and nutrients to your hair follicles, growing hair and scalp. 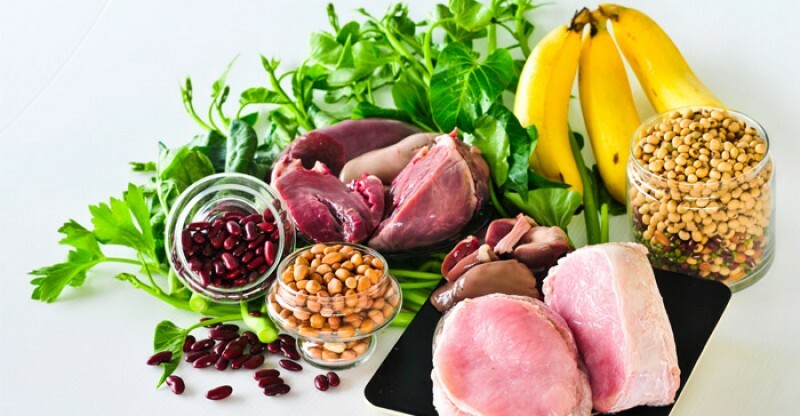 Foods rich in vitamins B12 and B6 are trout, wild salmon, shellfish, bananas, lentils, white potatoes with skin, fortified cereals (whole grain), garbanzo beans, chicken breasts, pork tenderloin and lean beef. Foods rich in folate are spinach, oatmeal, fortified cereals (whole-grain), parsnips, beets, okra, broccoli, soybeans and black-eyed peas. What are keratin rich foods? Consume foods rich in zinc, including crab, oysters, turkey, pork tenderloin, chicken, veal, wheat germ, chickpeas and peanut butter. Zinc facilitates growth of tissues and hair and helps in repairing and maintaining the oil glands surrounding the hair follicles. 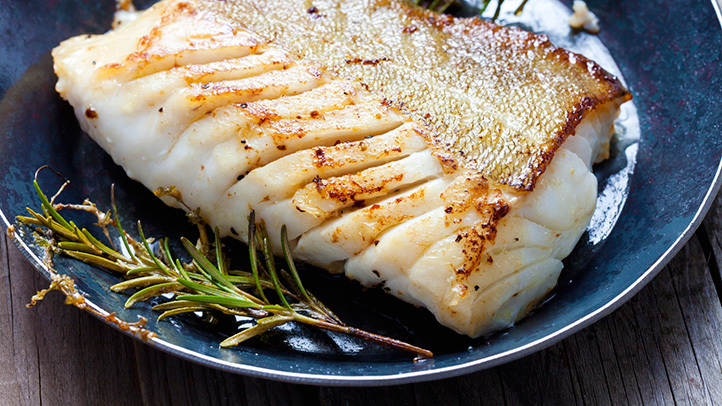 Consume fatty fish several times in a week. Mackerel, salmon, herring, sardines, tuna and trout are rich in omega-3 fatty acids which help the body produce keratin. Limit the consumption of canned tuna and salmon to 12 ounces per week. Pregnant females should not eat mackerel as it is high in mercury and should not be consumed during pregnancy. The production of keratin is also controlled by vitamin D. It regulates the development and growth of keratinocytes. It also regulates the transition of keratinocytes into corneocytes, which are the keratin-rich, dead cells present on the surface of the skin. Vitamin D accompanied by corticosteroids, also helps in the treatment of psoriasis, a skin illness that has excessive production of keratin. According to the Institute of Medicine, adults up to the age of 70 years require 15 microgram of daily vitamin D, whereas adults of age 71 or more need 20 micrograms of vitamin D daily. 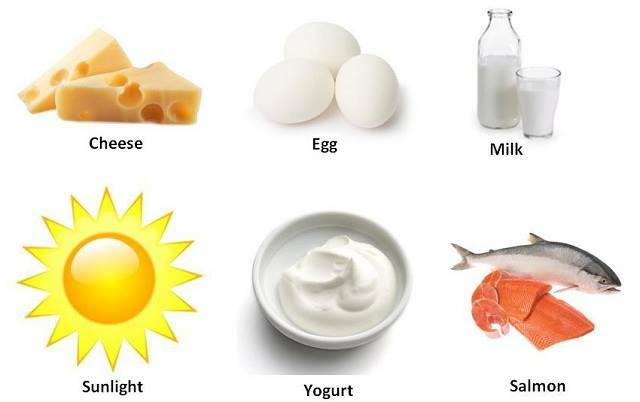 Vitamin D is provided by eating tuna, salmon, raw milk, mushrooms, eggs and oatmeal. You can also combat a deficiency of vitamin D by getting moderate exposure to the sun. After discussing keratin rich foods, let’s discuss how to increase keratin in your hair. 2. Choose conditioner and shampoo containing the correct nutrients: Use products for hair, which are rich in vitamin B5, vitamin E, zinc, copper and iron. It’s quite possible that the production of keratin in your hair is increased by these nutrients. These nutrients are usually mentioned on the list of ingredients or on the label; hence, look for them there.